I exported a report but it hit my Amex credit card account instead of the Chase credit card account that we use. How do I "aim" the report to the correct credit card account? I am using Quickbooks desktop. 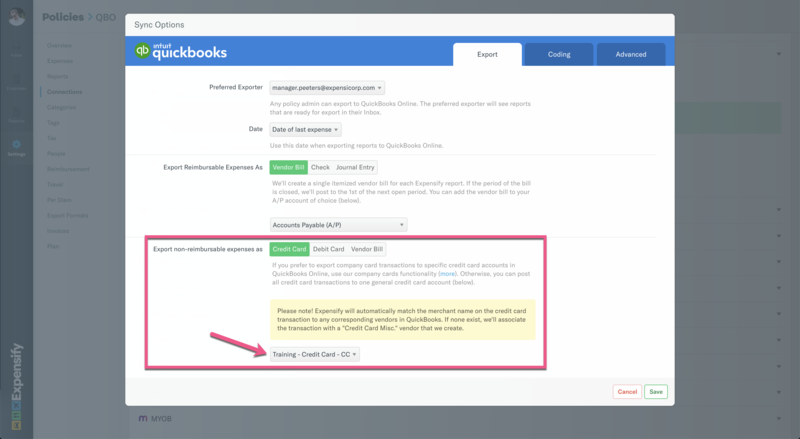 In this example for QuickBooks Online, all non-reimbursable expenses on the policy will be exported against the GL account configured in this dropdown, unless specified to another account (see below). 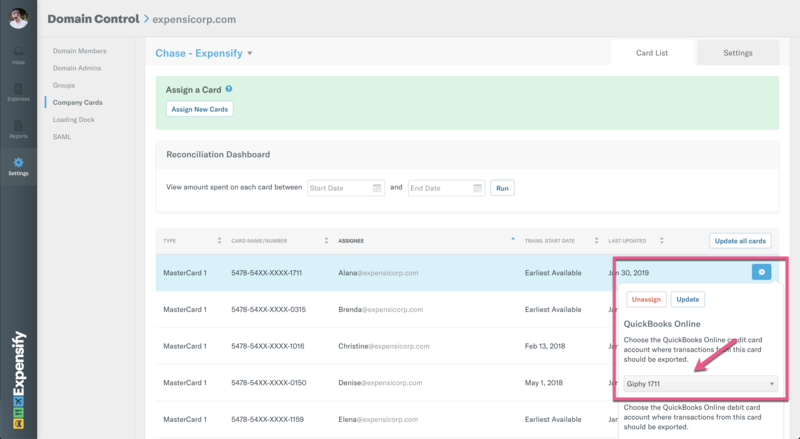 In this example for QuickBooks Online, all non-reimbursable expenses imported on this card ending 1711 for [email protected] will export to the "Giphy 1711" individual GL account. @Ted Peeters Thank you so much for your answer. That solved my problem!